There were two principal highways – Main and Bridge (East Central Ave.) streets. Main Street ran from Elliott’s Mill (last known as Idlewild Mill, located directly across from Exeter on what is now Old Denton Road) to the residence of the late Captain Moses Neal, a distance of one mile (now at the Railroad track on South Main Street). Bridge Street ran from Main Street over the bridge to the Friends Meeting House, one-half mile east (beside Maryland Plastics.) This meeting house was moved to the west side of town prior to the civil war and is situated beside greenhouses on the Preston Road. 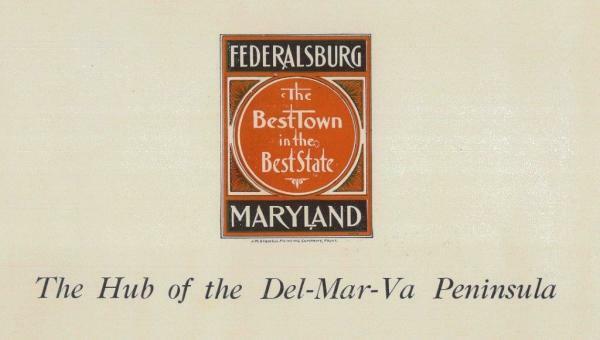 ​ Federalsburg was the business center of a large section of country and there were no surrounding villages to contest for its trade. There were a few general stores; village hotel; miller; smith and carriage shop, carpenters, cabinet maker and builder; boot and shoe maker; tailor; and other businessmen. There was an old school house and a doctor’s office. A large portion of the riverbank on the west side of the Marshy Hope Creek, from the bridge to the railroad track, was filled with cord-wood, lumber, ship-timber, tanbark, railroad ties and more. Due to the mild climate, the Eastern Shore of Maryland had become a natural for growing produce for trade to larger cities. Farmers found that larger farms and large fields planted in the staple crops were not as profitable as smaller farms and fields growing produce which found a ready sale as soon as shipped. Vegetables, berries and other fruits began to be raised and tomatoes grew plentifully and were peculiarly adapted to our soil and climate. It was found that they could be canned here just as well as anywhere else and the great canning industry sprang up. Tomatoes, corn and other vegetables could be grown at the cannery doors. Along with farming and canning and milling, a tin can factory was built alongside a mill, lumber yards became engaged in building crates, baskets and other materials which were used to ship the goods; and the railroad and steamer trade grew with the distribution of these goods. Later, the trucking industry increasingly played an important role in product transportation. Along with this success, many other businesses grew and supported this booming industry. Service Trucking and Caroline Poultry were large thriving businesses up into the 1960’s, but when they both closed down, an effort was made to develop several industrial parks which helped provide work for local residents who had lost jobs. Trucking is still a vital industry locally with H&M Bay, CW Transport and WIN Transport to name a few, and Dart (formerly Solo Cup Company), M&M Refrigeration, Tri-Gas and Oil, Bee’s Energy Express, Sisk Fulfillment, Burris Retail Logistics, and many other industries. Also present are a Food Lion, McDonald’s and other restaurants, county library, post office, police station, fire company, schools, senior center, two funeral homes and two cemeteries, drug store, hair salons, floral shops, convenience stores, dollar stores, auto parts stores and vehicle service centers, and so much more. 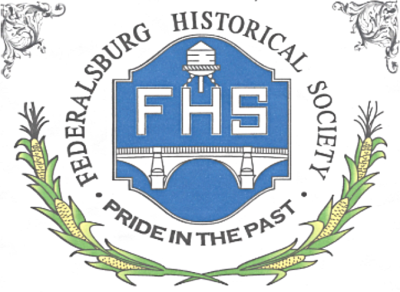 Last, but not least, is a developing Museum displaying many aspects of the history of Federalsburg.